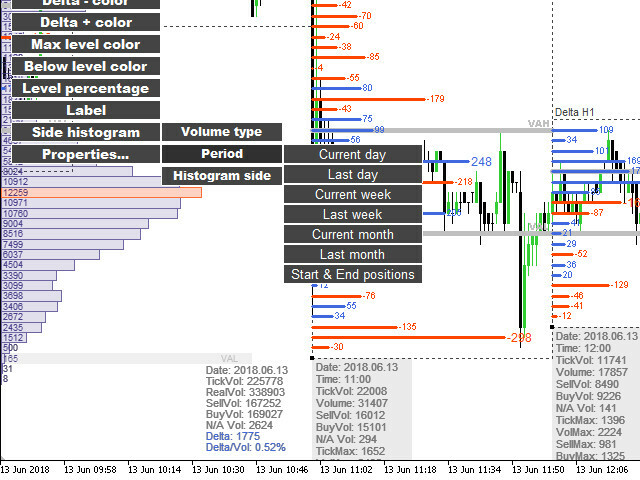 This is a demo version of the "Delta Volume histogram" Expert Advisor. The demo version only works on one symbol - СL... (Light crude oil futures)! 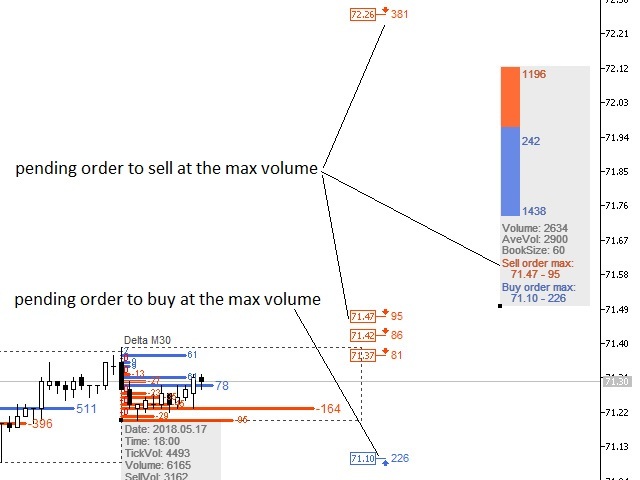 The "Delta Volume histogram" Expert Advisor plots histograms of "Delta volume", "Real volume", "Buy volume", "Sell volume", "Tick volume". Has a built-in «Pending orders indicator". 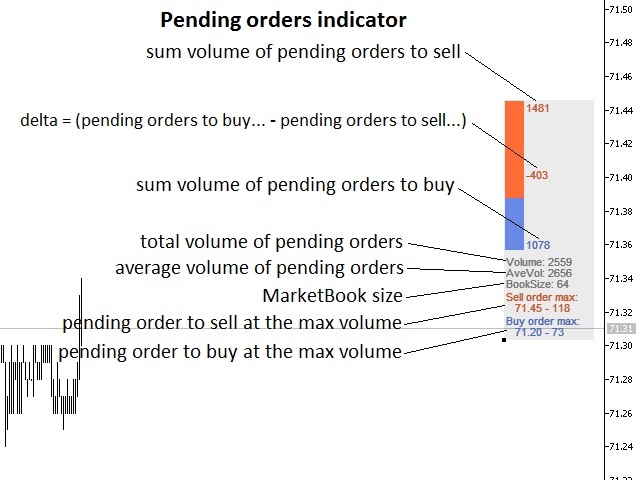 The indicator is designed for analysis of pending orders in the market, available in "MarketBook". 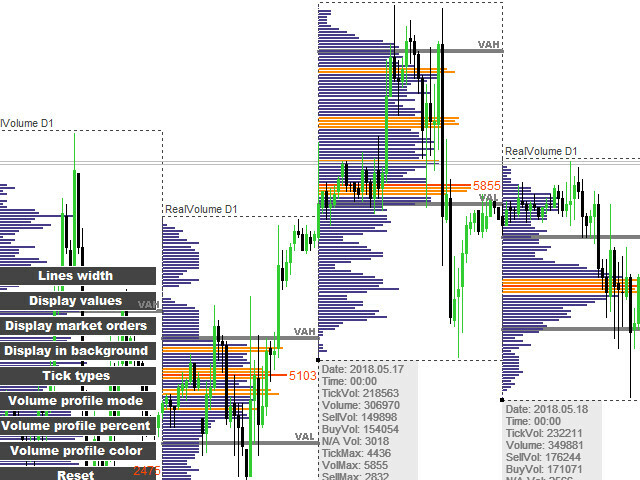 Displays the Volume profile levels (VAH VAL from 60% to 85%). This is a powerful tool for analyzing trade volumes. The chart is plotted based on tick data. Depending on the broker, select the type of ticks in the settings. For real (exchange) volumes, select 'Tick type - Trade' in the EA settings. Note: the EA fully works only in the markets with real (exchange) volumes. 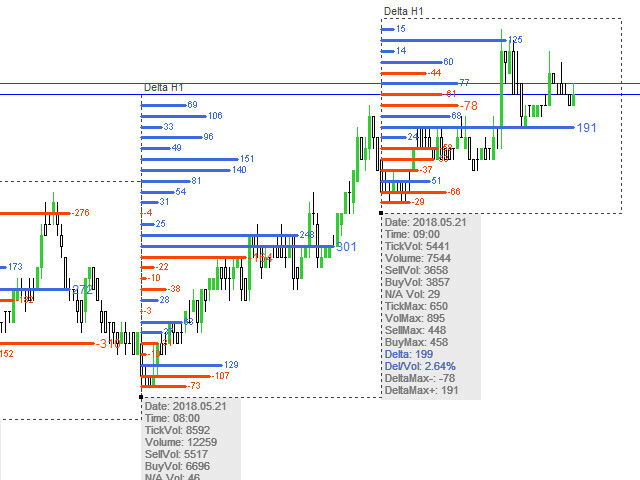 The histogram is plotted in any timeframe, both monthly and five-minute ranges. 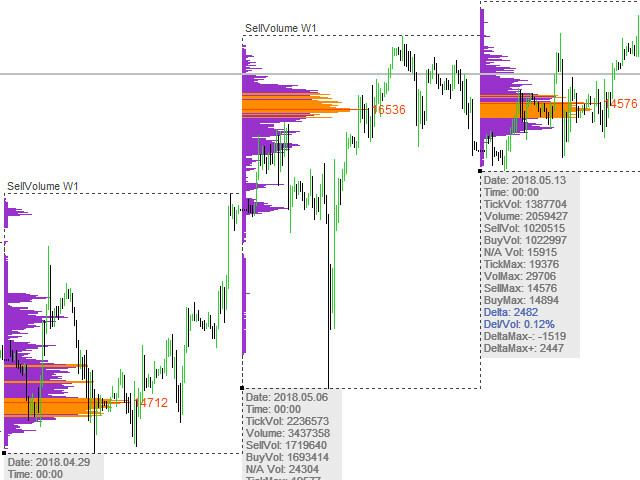 Recalculation of volumes and redrawing of the current histogram once per second. The EA is controlled using hot keys. The hot keys can be reassigned. "Key 1: launch/delete tick volume histogram"
"Key 2: launch/delete real volume histogram"
"Key 3: launch/delete sell volume histogram"
"Key 4: launch/delete buy volume histogram"
"Key 5: launch/delete delta histogram"
"Key Q: launch/delete info label"
"Key D: delete info label"
The panel settings are displayed on the screen. The default key is A: launch/delete Input menu. Tick types - type of ticks. For real (exchange) volumes, select 'Tick type - Trade' in the EA settings. Displaying pending orders on the panel. 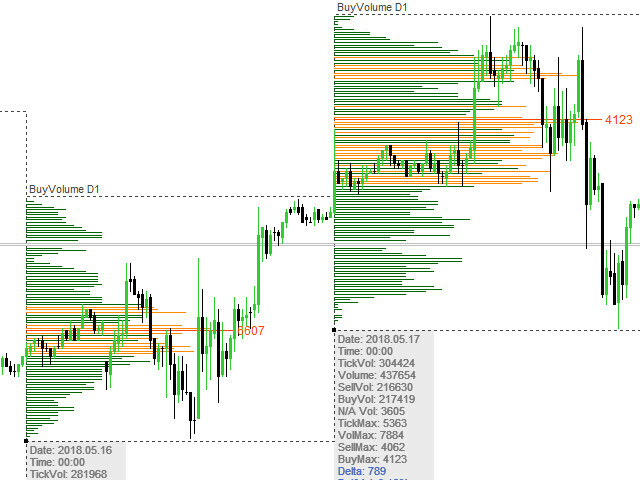 Integrated the indicator of pending orders. By default, the indicator is launched by pressing the S hot key. 1.Improved performance on smaller timeframes. 2.The input parameters are displayed on the screen. Default key A: launch / delete input menu. 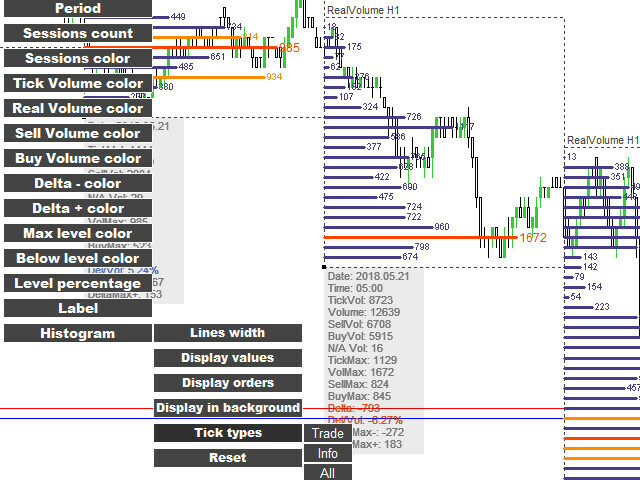 Tick types - For real (exchange) volumes, select 'Tick type - Trade' in the EA settings.